CCSS.Math.Content.8.EE.A.1. 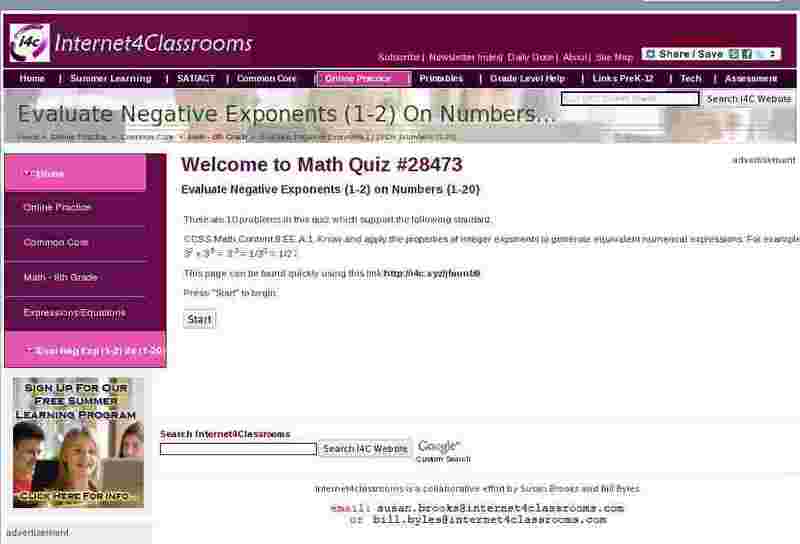 Know and apply the properties of integer exponents to generate equivalent numerical expressions. For example, 32 x 3-5 = 3-3 = 1/33 = 1/27.